Изменения: This is a new release of SysInfoTools Sotware, therefore no changes have been made so far. 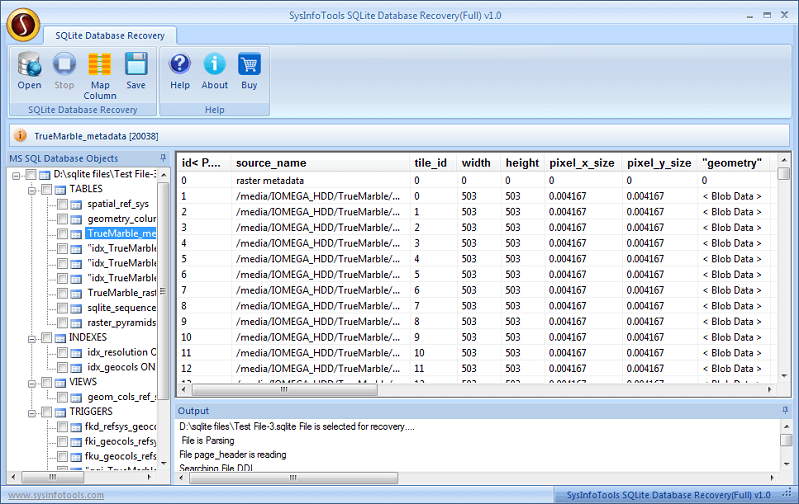 Пресса: SQLite Database Recovery v1.0 is the new release of SysInfoTools Software in the market. SysInfoTools SQLite Database Recovery tool is an excellent solution for SQLite users to repair corrupt SQLite database files and to restore their database objects into new SQLite database or MDB file. It supports both SQLite2 and SQLite3 versions. The trial version of SysInfoTools SQLite Database Recovery tool can be freely distributed over the Internet in an uncharged and unchanged form. SysInfoTools SQLite Database Recovery Copyright by SysInfoTools Data Recovery. Your Agreement to this License You should carefully read the following terms and conditions before using, installing or distributing this software, unless you have a different license agreement signed by SysInfoTools Data Recovery.